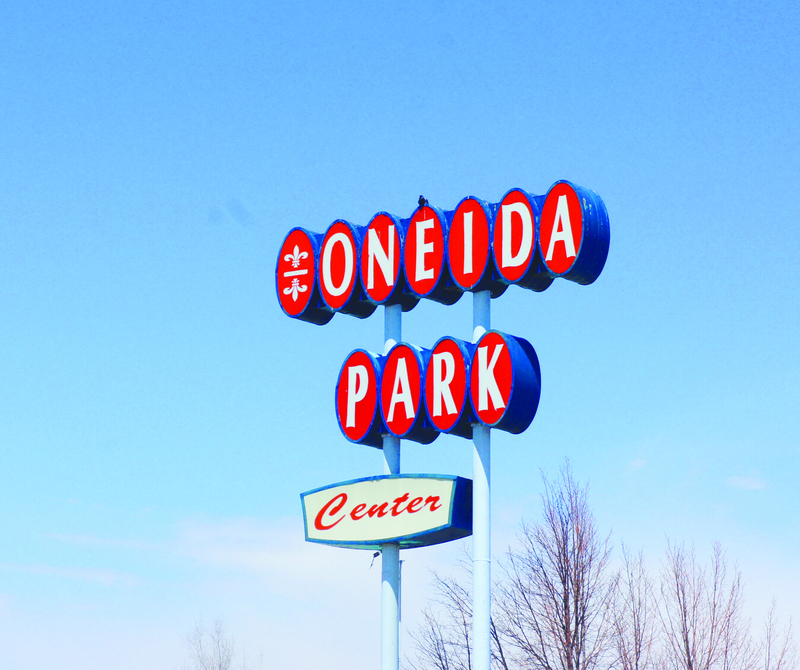 The Oneida Park Center shopping area was built in 1951 and fills the 22nd block of Oneida Street in Park Hill. About eight years ago, the commercial block began to experience a renaisance. I met with each shop owner so that we could talk about their respective businesses. What I discovered was a community of passionate entrepreneurs who have chosen to follow their dreams and open their family businesses right here in Park Hill. Along the way, they have formed a comraderie on this up-and-coming block, though many come from completely different backgrounds. I recommend to the whole Park Hill neighborhood a walk, ride or drive to check the Oneida Park Center, which, with its shops, services, and restaurants and the amazing people who own these places, is a treasure chest right in our own neighborhood. Denver Music Tree owner, Mackenzie Gault, comes back to her Denver School of the Arts roots in opening her new business on the Oneida Park Center block. Offering viola and violin lessons, with guitar and voice to be added soon, as well as music- and movement-based baby and toddler classes, Mackenzie is excited to see her new venture taking off. She and her 16-month old son, Finley, showed me around the bright, cheery space, where little ones will be able to enjoy her classes starting June 3. While Gault is a classically-trained musician with a Viola degree from DU, she is also a rocker as a member of Denver’s own Flobots – little Finley has even been on tour already. Baby and toddler classes will take place once a week for eight-week sessions, and classes are offered for groups of the following ages: newborn to 12 months, 12 months to three years, and three to five years. Mackenzie is available for private violin and viola lessons now, and Finley is ready to give you a tour of the books and toys anytime. Denver Music Tree is located at 2238 Oneida Street St. Call 720-583-5973 or visit denvermusictree.com. Dr. Margot Vahrenwald opened Park Hill Veterinary Medical Center in July of 2011 (and became the GPHN veterinarian columnist in May 2012). Along with her husband, Chris, who is the hospital manager, she helps the dogs and cats from the whole neighborhood. When I walked into their office, I was greeted by gorgeous decor, a spotless environment and a friendly staff. Dr. Margot received her veterinary medicine degree from Colorado State University and worked all over the country before settling here in Park Hill. Her medical center specializes in general wellness care and disease prevention, puppy and kitten care, advanced age care, injuries and dental care. There are two additional veterinarians on staff, Dr. Oberbroeckling, and Dr. Karrh, as well as a talented group of nurses, vet assistants and client care specialists. “Quite simply, opening Park Hill Veterinary Medical Center is the best thing I have ever done,” said Vahrenwald. “It’s really fun and gratifying to have seen our practice being welcomed in Park Hill, Stapleton and the surrounding neighborhoods.” She said that their number one goal is to offer the best care they can to the pet owners and patients. With the smiling people and wagging tails spotted at their practice, it looks like they are meeting that goal. Park Hill Veterinary Medical Center is located at 2255 Oneida St. Call 303-388-2255 or visit parkhillvet.com. When I walked into BJ’s, there were four generations of the Whitlock family gathered there. This is a close-knit family business that is happy to serve you. Evelyn Whitlock, who owns and runs the shop with her daughter BJ, has a passion for her customers and makes sure that they never have to wait for their appointment. She is the receptionist and bookkeeper, and her daughter and several other talented stylists take care of their clients’ hair, nails and brows. BJ’s offers hair design for all types of hair, multicultural hair services, braiding, waxing, lash extension, manicures and pedicures, as well as basic cut and color services. They do not overbook their salon, allowing them to make sure that all of their clients are served right away. According to Whitlock, “At BJ’s we do anything and everything to make a person feel beautiful.” BJ’s is a fixture in the Oneida Park Center, having been there for eight years, and with regulars and walk-ins in and out the door all day, this family business will be there for many years to come. BJ’s Hair Sensations Styling Salon is located at 2242 Oneida St. Call 303-322-4999. Vance Johnson, the owner of Vance Barber and Stylist, told me right away not to confuse him with the former Denver Bronco. He may not play football, but he is one of the nicest guys you might ever meet. While Vance used to have four locations around Denver and was recognized as the first African-American to own a franchise in the city, these days he has settled into his Park Hill location and enjoys the pace of running just one shop. The Park Hill location has been in business for over eight years and employs two friendly stylists. Johnson runs a Christian business and doesn’t allow swearing in his shop. He also runs his business based on his firm belief that when people feel good about their appearance, they feel better about themselves. He has backed up that philosophy over the years by providing cuts to the homeless and those in need. Johnson gets to know the families he serves over many years. “Moms, dads, grandmas, and all the kids from families all over the neighborhood come to see me”, said Johnson, who takes pride in serving these generations. Vance Barber and Stylist is located at 2232 Oneida St. Call 303-321-2470. Scott Koster has a Master’s degree in Biochemistry, but these days he is working with solutions of a different kind – wine and craft beer. Koster is the owner of Oneida Liquors, which he opened in October 2012. Although Oneida Liquors is a small neighborhood liquor store, the selection is growing. Scott has recently expanded his craft beer section and has an entire cooler dedicated to great Colorado beers. He has also grown his wine section, featuring many Colorado wines. If he doesn’t currently carry something you are looking for, he does his best to get it for you for next time. Koster has also developed a section filled with a huge variety of 12-ounce beers, where you can build your own mixed 6-pack; this allows customers to try some new beers, or just get a variety of the ones they already love in one package. He features regular sales and promotions, drawing customers from as far as Aurora to take advantage of his prices. Koster is focused on the future: “For a small store, we have a large, innovative selection,” he said. Oneida Liquors is located at 2201 Oneida St. Call 303-388-7758. Ali and Marc Neal opened two locations of Positive Spin Laundry in September 2012 – one in Park Hill and one in northwest Denver. They base their business practices on the theory that “service providers should want to provide the best possible service to their customers”. At their Park Hill location, you will often be greeted at the counter by Brandon, a loyal employee and aspiring writer who is polite, helpful and has a great smile. Their laundromat is clean, quiet and organized and offers wi-fi, TV, seating, coffee, and snacks to make one of life’s not-so-fun chores much more bearable. In addition to the do-it-yourself laundry service, Positive Spin also offers drop-off and pick-up services, dry cleaning, alterations, and business account options. Positive Spin Laundry is located at 6920 E. 23rd Ave. Call 303-284-2128 or visit positivespinlaundry.com. When I walked into Allegra’s Pizza, owner Tony Uva was in the sparkling kitchen chopping fresh herbs for his Neopolitan style pizza. Uva prides himself on using the best fresh ingredients, classic pizza ovens with history, and great service. “Basically”, he says in his Long Island accent, “it’s a mom-and-pop joint and all the guys and girls who work here are really good.” According to various neighbors and ratings sites, the pizza is really good, too. Allegra’s is named after Tony’s daughter, an East High School graduate who helped him to perfect his recipe as she grew up. As a father, he has discovered a great way to offer a special service to his Park Hill customers: if he finds out your family is expecting a child, he provides a coupon for the “Baby Pizza”, good for one free pizza, tax and tip included (because he doesn’t want new parents to be fumbling around for bills when they are so exhausted), delivered to your house the night you bring your baby home from the hospital. The guy is thoughtful. He works with schools around the neighborhood, donating ten percent of his sales to a different local school each month; for June, he is donating to the Denver Language School. Allegra’s specializes in mostly take-out and delivery, although they do have a small outdoor seating area, allowing them to cater to students that come over for a slice at lunch and those who wander by. Allegra’s will be closed from May 20th through June 4th while the family embarks on a culinary tour of Italy. They will be back and ready to serve on June 5th. Allegra’s Pizza is located at 2240 Oneida St. Call 303-333-4442 or visit allegraspizza.com, which offers online ordering. Jim Jackman just recently moved to Park Hill, but he has been operating his Famous Philly Cheese Steak restaurant in the neighborhood for over seven years. The cheese steak sandwiches are authentic, served on the famed soft Amoroso rolls shipped straight in from Philadelphia. One of Jackman’s top-sellers is a bacon jalapeno cheese steak, which he invented when he ran out of pepperoni one day, and he is also starting to gain some fame for his wings. While a lot of his daytime business comes from Denver School of the Arts students, Jackman has created a family-oriented environment with his sunny, dog-friendly patio, Friday movie nights and old-school Dig Dug Machine in the back. There are flat screen televisions to catch a game, craft beers on tap, and a friendly staff behind the counter. Jackman invites all of Park Hill to “Ride your bikes, bring the kids, have a sandwich and a couple of beers on the patio.” After tasting a cheese steak, made for me by Jackman himself, I can’t think of a better idea for this summer. Featuring dine-in, delivery or pick-up, Famous Philly Cheese Steak and Beer Garden is located at 2200 Oneida St. Call 303-333-5600 or visit famousphillycheesesteak.com. Another brand new member to the Oneida Park family, Park Hill Skates skate shop was opened by Rob McKendry this spring. A former professional skateboarder, Rob is, in a word, passionate. In a couple of words, he is extremely passionate. Park Hill Skates sells skateboards, trucks and wheels, both separately and in full setups, expertly selected and assembled by McKendry. They also carry helmets, other safety gear and accessories, as well as some great antique cruiser bikes – McKendry’s other passion. He has a product line dedicated to girls, and loves to talk to first-time skateboarders and their parents about what they want to get out of the sport. One of the coolest things about Rob’s new shop is the skateboard art he features in his “mini museum.” He has always been focused on “the art of skateboarding” and, in April, he held a benefit for the Aurora shooting victims, auctioning off skateboards designed by artists, both from the Denver School of the Arts and professionals. While some of the pieces have been sold, he has added some from his own collection and wants to continue to feature new pieces that expand and change his beautiful “museum” and allow him to spotlight young artists. McKendry, a Park Hill resident, toured for many years as a pro, has been racing skateboards for 15 years and has been skateboarding his whole life. He is the new resident expert in Park Hill, ready to serve his skateboarding public. Park Hill Skates is located at 2236 Oneida St. Call 720-583-4627 or visit parkhillskates.com. For 35 of the 40 years they have been living in Park Hill, Robert B. Rand, Jr., and his wife Laverne have been running Oneida Street Automotive (formerly L & R Auto). Mr. Rand retired in 2011, after 50 years as a mechanic and welder, while Laverne still runs the office and acts as receptionist. Their long-time mechanics on staff have served three generations of Park Hill families and offer all automotive and small truck services. They regularly run specials on brakes and other maintenance. When I spoke to Laverne and Bob, one of her staff mechanics who has worked there for 35 years, neither of them could say enough about how much they appreciate the customers. Laverne also mentioned how much she loved the location on Oneida Street. “The neighboring business owners have formed camaraderie and really look out for one another,” she said. Over the years, she has been known to take plate of goodies to new tenants on the block when they arrive. Oneida Street Automotive is located at 2290 Oneida St. Call 303-399-5250 or visit lrautorepairco.com. Mackenzie graciously shares her adorable space with her fitness trainer husband, Lewi Gault. He replaces the adorable with sweat and hard work by offering two morning bootcamp classes at 6 a.m. and 6:45 a.m. and two evening bootcamp classes at 6 p.m. and 6:45 p.m. every Monday, Wednesday and Friday. Visit the Lewi Gault Fitness Facebook page for more information. At Spicy Thai II Asian Grill and Sushi Wow, they pride themselves on only using the freshest ingredients in making the Thai, Chinese, Vietnamese and other Asian cuisines they serve, including a full sushi bar. They offer a warm environment, and their friendly staff makes sure you enjoy your meal when dining in, and they also offer take-out, free delivery, and catering. If you’re dining in, you can choose from a full bar selection of beer, wine, sake, and a menu of signature cocktails. Spicy Thai II opened their Park Hill location in 2007. Mindy Chen has been managing the store since it opened and says that because most of the crew have been on staff since the beginning, they have become just like a family. “The regulars who have been coming in for many years have become our friends and family, too”, said Mindy. The restaurant is owned by Jin Huang. While there is another location (Spicy Thai), it is run by a different part of Huang’s family and only serves Thai cuisine. Spicy Thai II and Sushi Wow is located at 2235 Oneida St. Call 303-388-6300 or visit spicythai2235oneida.com. The Mi-T-Mart convenience store is an anchor of the Oneida Park Center and is the longest-standing tenant on the block, having been there for almost 50 years. he Mi-T-Mart offers a selection of all the basics you might need in a pinch, including snacks, housekeeping basics and staples like bread and milk.